A place to carry tools and essentials on a motorcycle. For me you can never have enough tools, parts, cleaners, first aid items, snacks and water with me when I’m out on a ride. I’m little like a boy scout in that way, always be prepared. 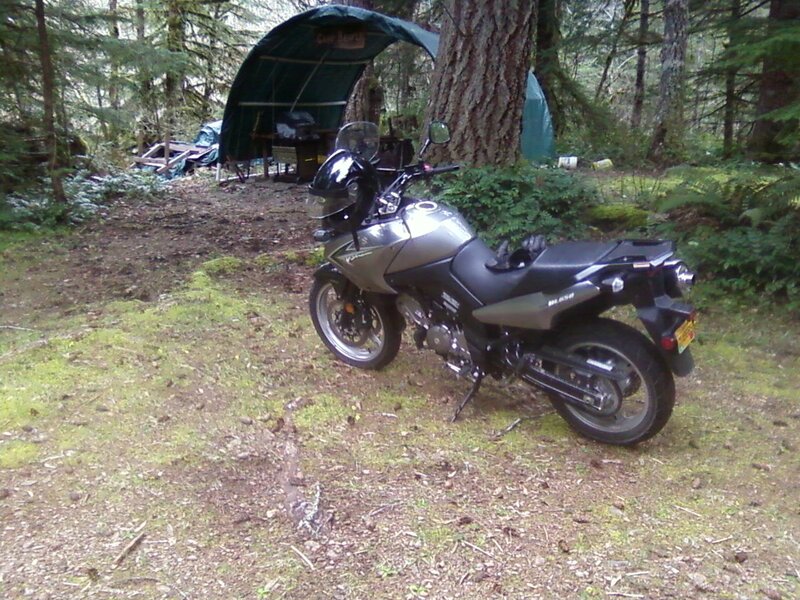 When I bought my Suzuki 650 V-strom adventure bike I wanted more space to store stuff. I searched the web for add-on tool boxes. I found some good ideas, but I knew I could do better. I wanted something that would have plenty of room, be nearly indestructible and blend into the bike. The Vee 650 has one exhaust pipe right side, which makes it appear to be a little unbalanced. 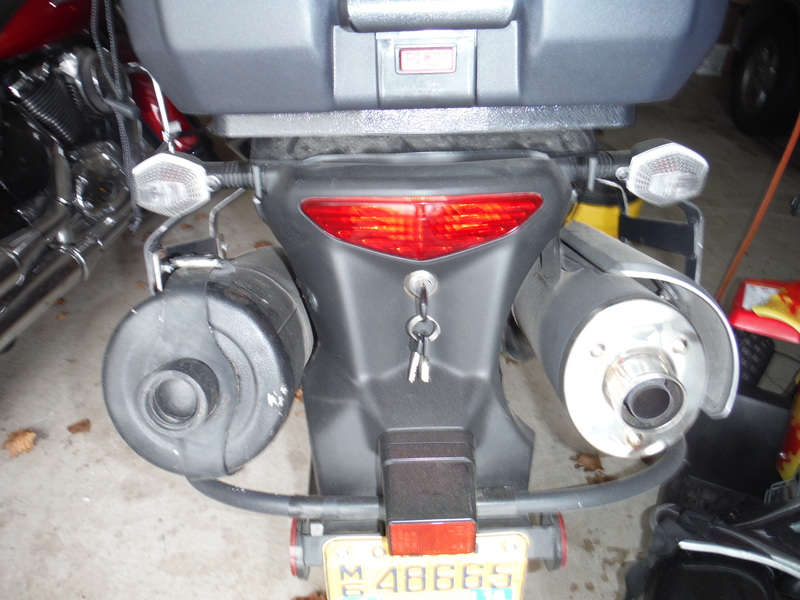 I had made and installed a rack for panniers on the Vee, watch for that blog, and on the left side there was a gap were the exhaust was on the other side. My first thought was to find a matching exhaust, convert it to a storage tube and no one would even know it was storage because it would look like the other exhaust. 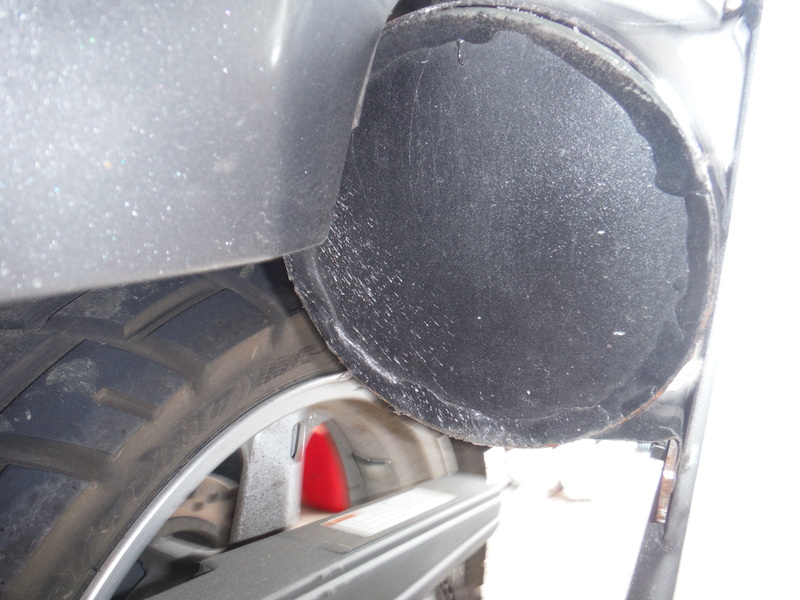 I couldn’t find a used exhaust, so I went to plan B.
I decided to use a 6″ black stovepipe instead of a 4″ ABS pipe like I had seen on the web. A 6″ stovepipe had more storage room, was the same size as the exhaust and would fit perfectly in the space behind my luggage rake. You can use the silver six-inch pipe, but the black is of heavier gauge and is already black. They also make other diameter pipe and even square pipe. The smaller diameters and square will be in the silver, lighter gauge. 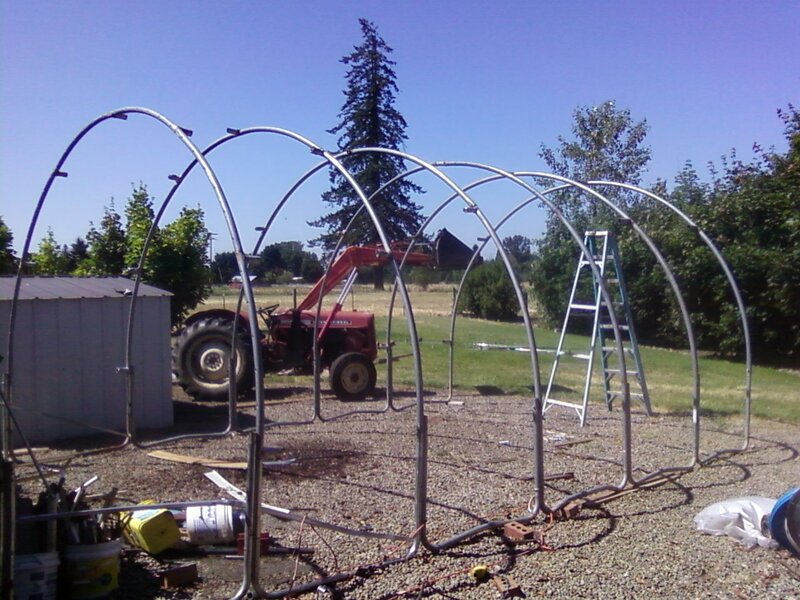 I first cut the pipe to the length I needed to fit behind my rack and so it would stick out equal distance to my muffler. 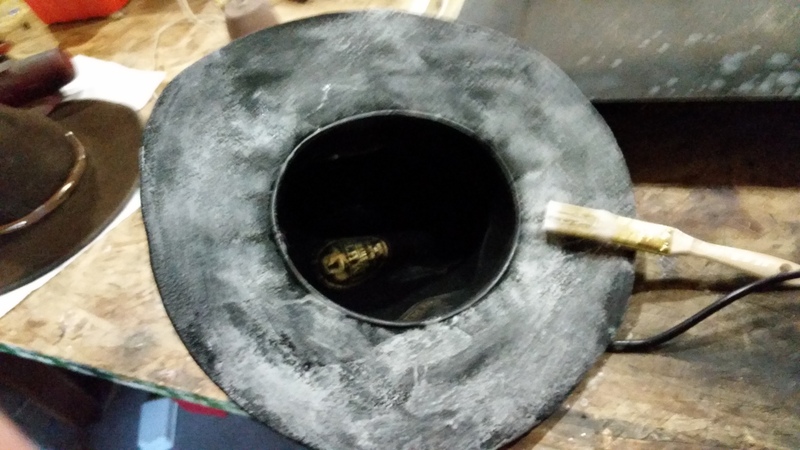 I kept the crimped end because I wanted to use a six-inch cooking pot lid for the cover and the lid was the same diameter as the pipe so the end had to be crimped so the lid would fit over the pipe. I would suggest finding a lid before you cut the pipe. Some lids will fit nicely over the full six inches. I made a rubber strap to secure the lid to the pipe just in case. 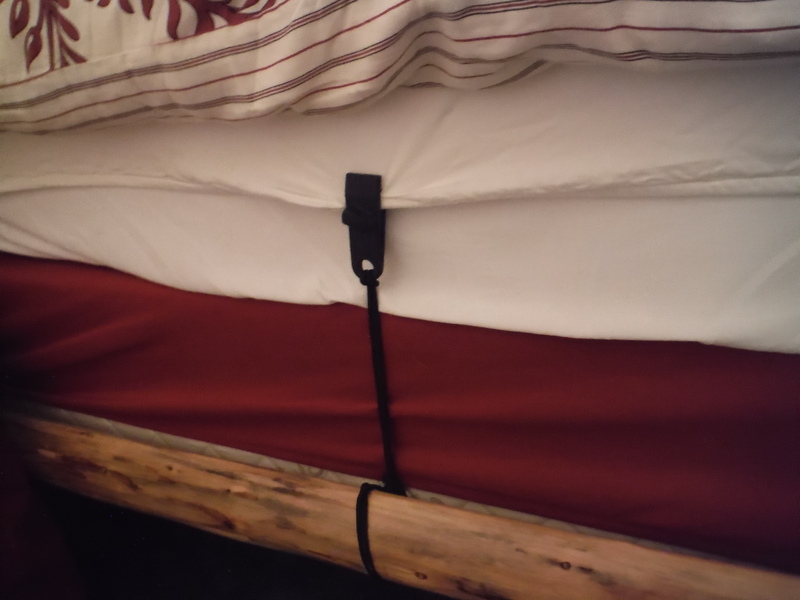 The strap is made out of inner-tube. 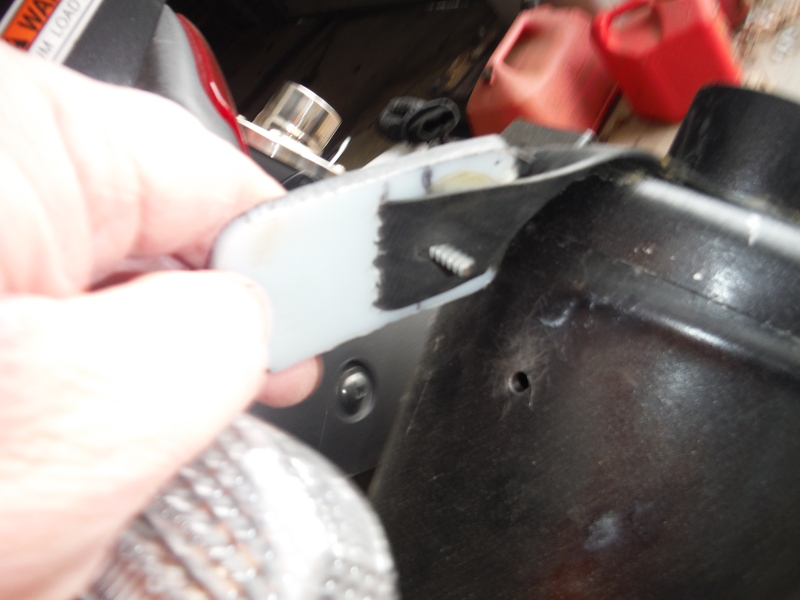 I attached to the underside with a rivet and made a latch out of plastic and a screw at the top. I drilled a hole to insert the screw into. At some point you have to snap-lock the pipe together. I snapped mine together first and used my table saw to cut the excess end off. I always have some 55 gal. 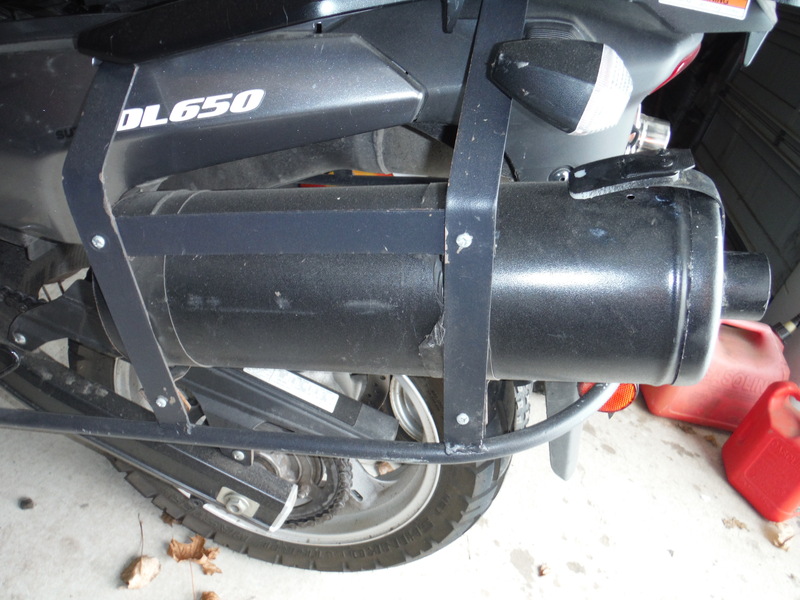 plastic barrels around to make fenders and side covers for my dirt bikes. I like the plastic because you can heat it up and shape it into anything you want. 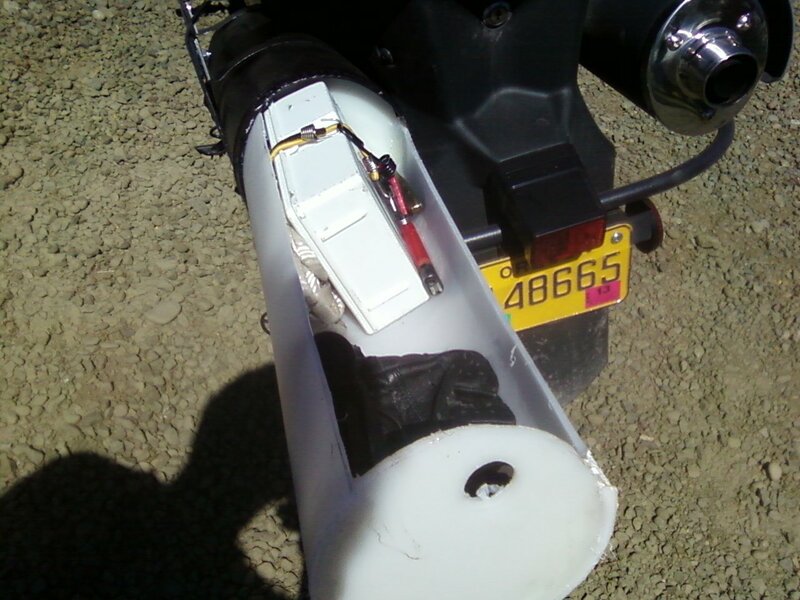 I actually made my panniers out of the plastic, but that’s another posting sometime. I used the top of one of the barrels to cut a six-inch circle to use as the bottom plug at the lower end of my pipe. I made some adjustments with my grinder so the plug would fit snugly. I pushed the plug in so there was a ¼” lip of the pipe sticking past the plug. 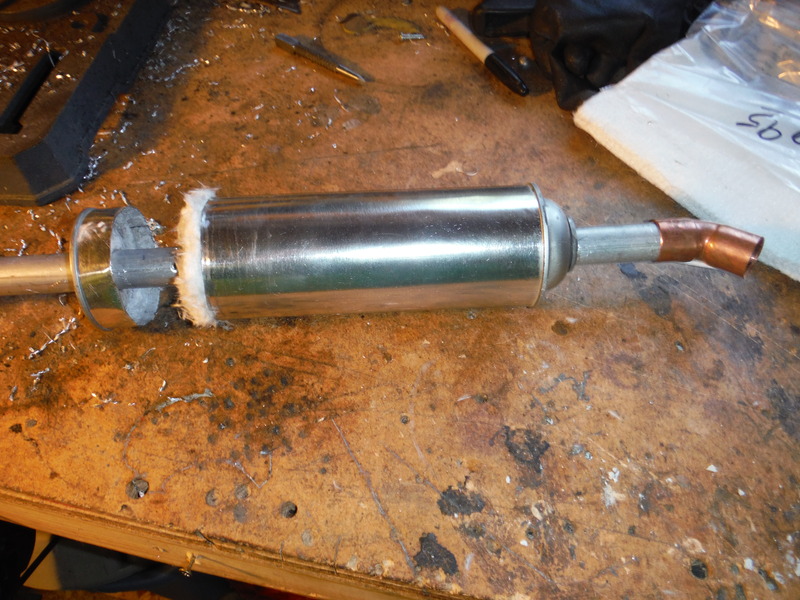 Using my hot glue gun, I reached in and glued the inside perimeter of the plug to the pipe and then I glued the exterior using the ¼” lip as additional surface for the glue. 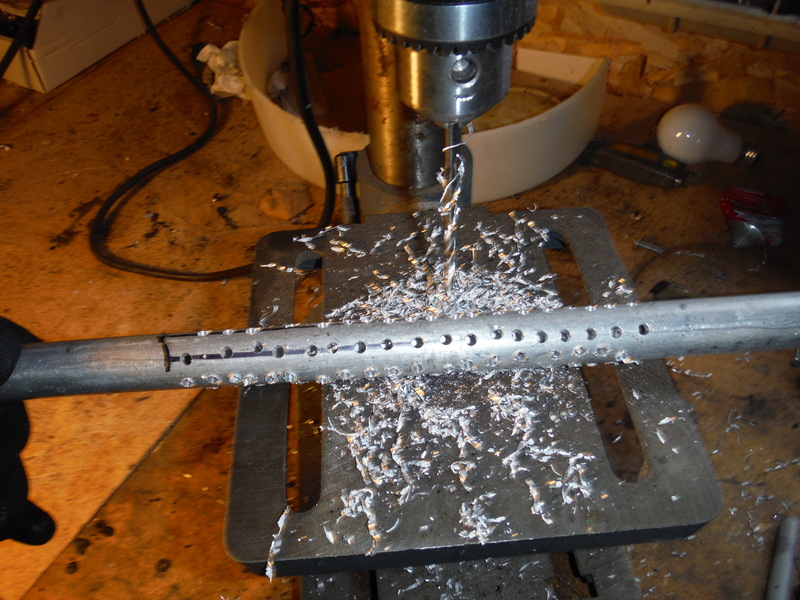 If you want, you can drill a few small holes through the side of the pipe into the edge of the plastic plug and insert some small screws or brads for extra holding power. I dressed up the lid by adding a PVC pipe coupling over the lid handle. I had to grind the handle a little to get the coupling over it. I glued it on with hot glue. The lid fit really tight and doesn’t fall off, but I decided to add the rubber strap just in case. It’s made out of rubber inner tube. I riveted it to the under side of the pipe, cut it so it would fit around the PVC handle and added a plastic latch with a screw through it. The screw fits into a small hole in the top of the pipe. The threads on the screw and a little tension on the rubber strap keeps the strap in place. After loading the toolbox up with my essentials, I realized how inconvenient it was going to be to find stuff in the pipe toolbox. I solved that by making a plastic insert tube that would slide in and out like a drawer and keep my stuff handy and organized. I cut two slightly smaller than six-inch end pieces and a piece of plastic from the side of the barrel that I could heat and form around the end pieces. I hot glued it all together and added four small screws through the sides into the end pieces for extra holding power. I drilled a finger hole in the top end of the insert so I had something to get hold of to pull the insert out. 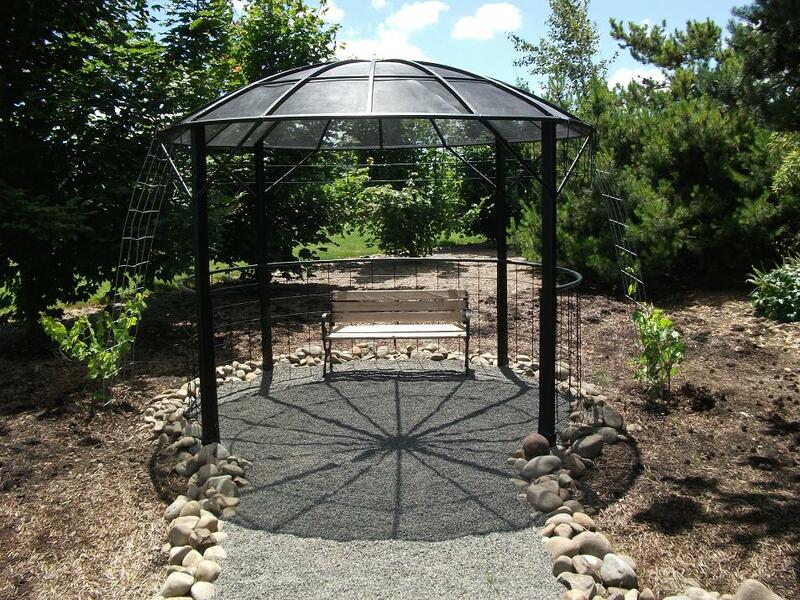 The last step was to use spray-in bed liner in a rattle can to make it all black. The spray-in is great stuff and will stick to most anything. The plastic should be clean and roughed up with 50-80 grit sand paper to give the spray-in something to grip to. That is it. It’s been on the bike three years now and has seen thousands of road miles and a few hundred miles over some pretty rough logging roads. It has held up to the miles and has given me lots of storage room.